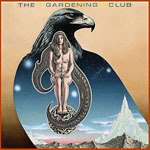 Share the post "Album review: THE GARDENING CLUB"
A lost prog classic? That might be applied to this reissue of an album originally released in 1983 and the work of UK-born, now Canadian resident Martin Springett. The album will appeal to fans of pastoral prog with a pop sensibility and there’s a definite nod to early Genesis but also classic Camel and even a more acoustic King Crimson. What’s not to like? There’s a mix of vocal and instrumental tracks all very well produced (by Don Geppert) and played, with particularly good turns from Bob Brough (soprano sax). There’s also a high level of consistency so the album can be played right through without the sometimes inevitable skip and shuffle. And the good news is that Springett is getting ready to release a follow up, ‘The Riddle’. He even turns his hand to the artwork. This Gonzo release is typically slapdash with the last track not listed on the cover or liner. Our spies reckon it was one of those tracks included on a bonus EP that came with a special collectors package of the album released in 2016, an instrumental called ‘Moon Mischief’. The other three tracks on that EP are also included as bonuses. This entry was posted in ALBUM REVIEWS, ALBUM REVIEWS (Mobile), All Posts, Reissues and tagged album, Camel, Don Geppert, Genesis, Martin Springett, prog, Progressive Rock, review, The Gardening Club. Bookmark the permalink.